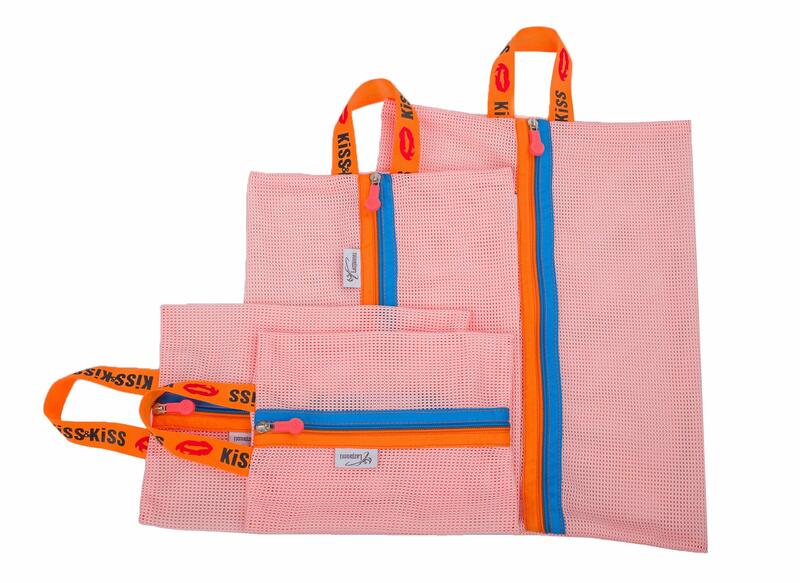 Made of a nylon mesh fabric in mint or pink colors, this set includes 4 bags in 4 different sizes. 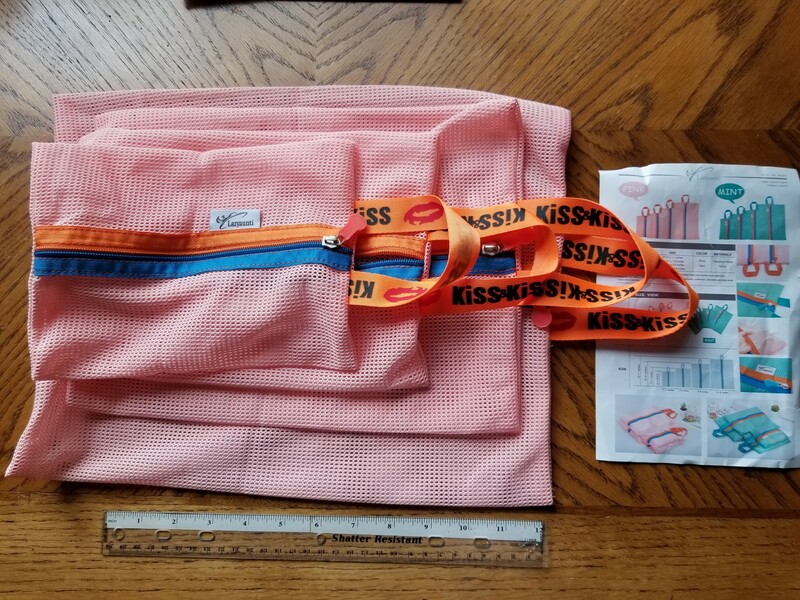 The smallest bag measures 8.6 by 7.1 inches; the medium measures 11.1 by 7.8 inches; the large is 12.9 by 9.8 inches, and the extra-large is 15.7 by 11.8 inches. 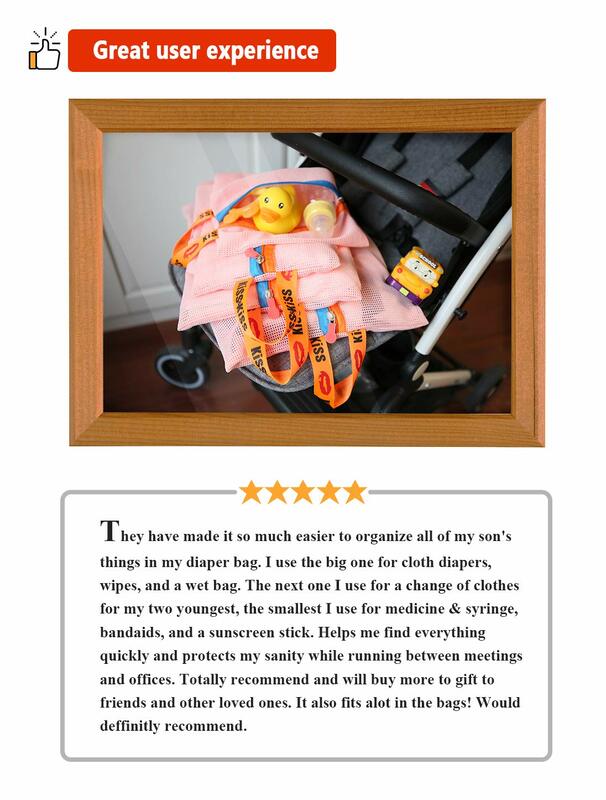 They have bright nylon zippered entrances that are easy to open and shut as well as a loop handle. They are hand or machine washable and should be air dried. 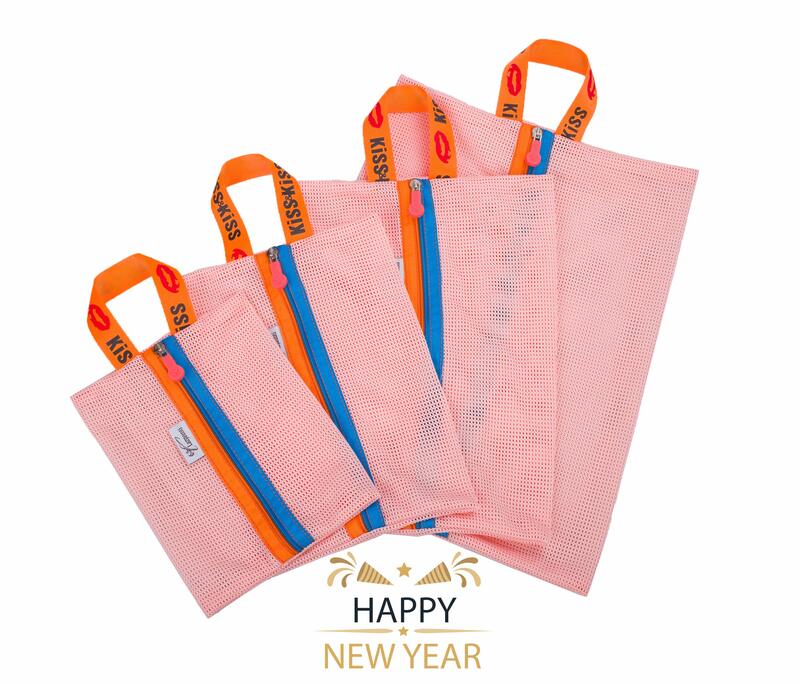 With the rage of eco-friendly, reusable or storage bags, I like that this set includes 4 different sizes for a myriad of uses. Having them a little see-through makes them easy to spot what is in each as I organize. 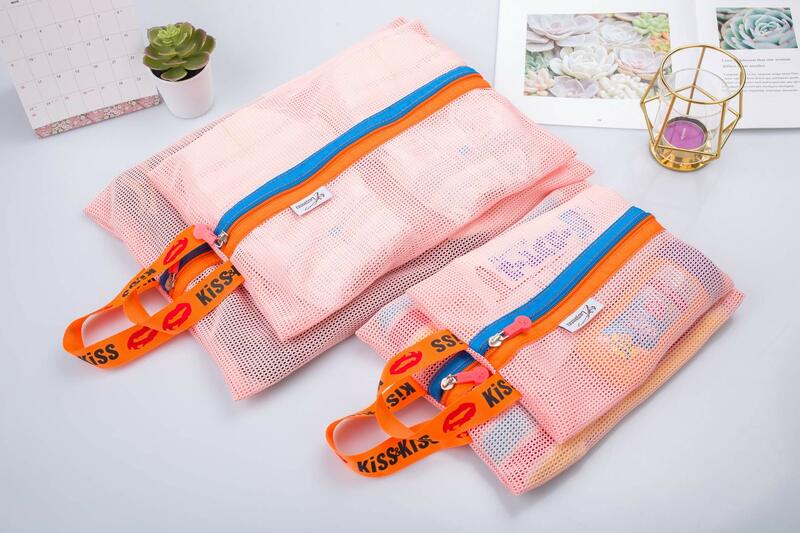 These work perfect for traveling, cosmetics, art supplies, et cetera without tearing, ripping, or breaking. 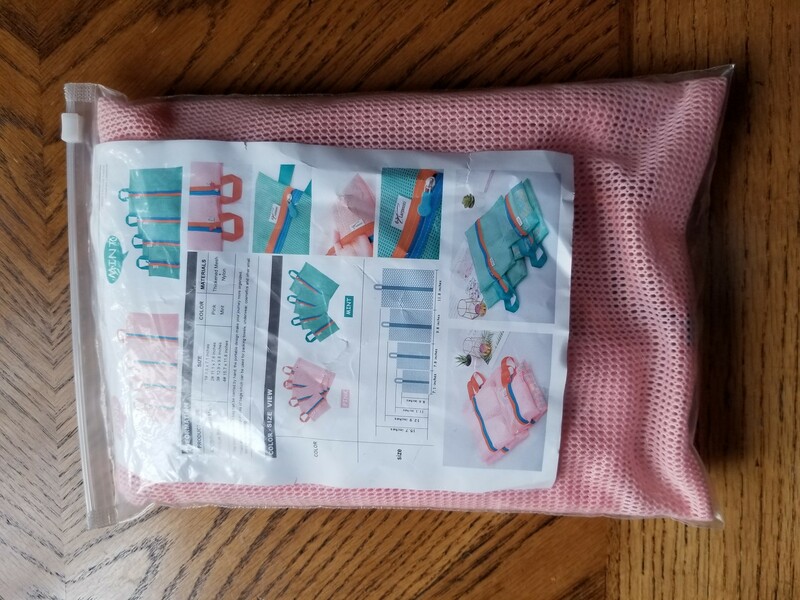 Some may not like using a mesh or semi-see-through bag although they are quite handy as you do not have to open them to see what is inside. If sharp pointed objects such as pens are put in the bags, they may puncture the mesh. I wish there were more than only color options. 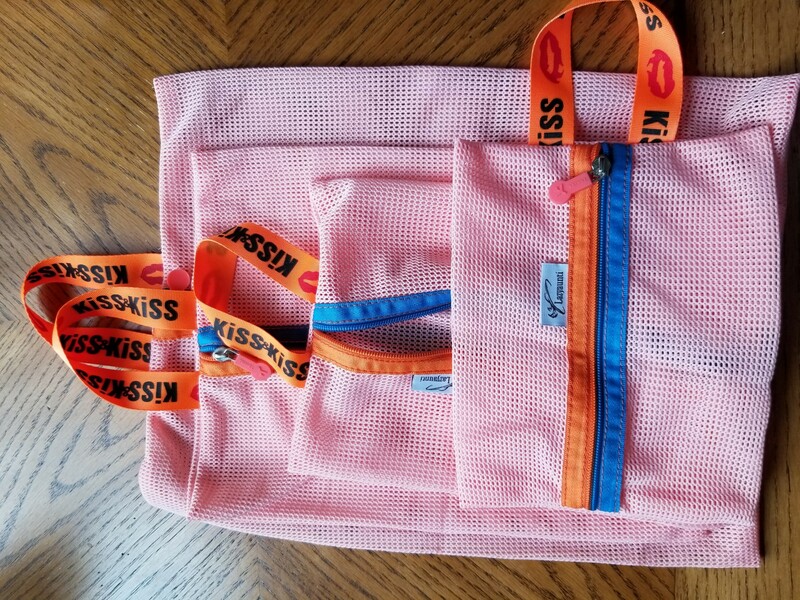 If you are looking for a set of 4 zippered mesh bags that are handy to use, this set is a keeper. 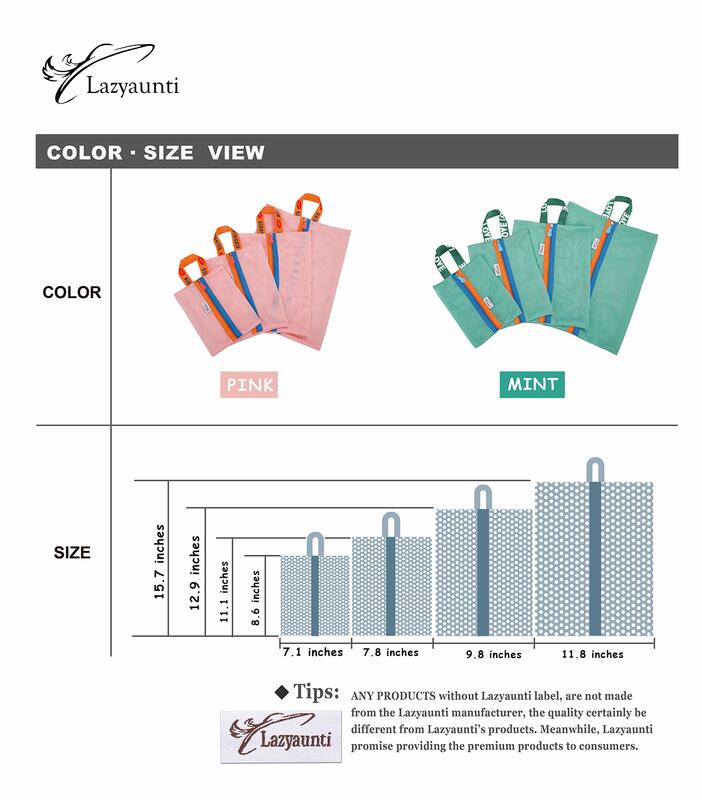 Thanks to Lazyaunti for this discounted product that I am not obligated to review.